What is the cheapest way to get from Central Islip to Port Authority Bus Terminal? The cheapest way to get from Central Islip to Port Authority Bus Terminal is to drive which costs $5 - $8 and takes 59m. What is the fastest way to get from Central Islip to Port Authority Bus Terminal? The quickest way to get from Central Islip to Port Authority Bus Terminal is to drive which costs $5 - $8 and takes 59m. Is there a direct train between Central Islip and Port Authority Bus Terminal? Yes, there is a direct train departing from Central Islip and arriving at Penn Station station. Services depart hourly, and operate every day. The journey takes approximately 1h 15m. How far is it from Central Islip to Port Authority Bus Terminal? The distance between Central Islip and Port Authority Bus Terminal is 42 miles. The road distance is 53.7 miles. How do I travel from Central Islip to Port Authority Bus Terminal without a car? The best way to get from Central Islip to Port Authority Bus Terminal without a car is to train which takes 1h 27m and costs $10 - $15. How long does it take to get from Central Islip to Port Authority Bus Terminal? 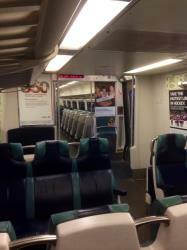 The train from Central Islip to Penn Station takes 1h 15m including transfers and departs hourly. Where do I catch the Central Islip to Port Authority Bus Terminal train from? Central Islip to Port Authority Bus Terminal train services, operated by Long Island Rail Road, depart from Central Islip station. 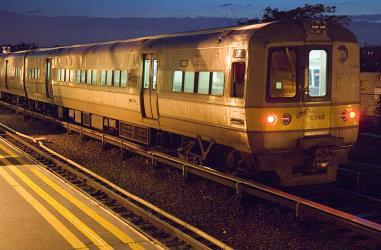 Where does the Central Islip to Port Authority Bus Terminal train arrive? Central Islip to Port Authority Bus Terminal train services, operated by Long Island Rail Road, arrive at Penn Station. Can I drive from Central Islip to Port Authority Bus Terminal? Yes, the driving distance between Central Islip to Port Authority Bus Terminal is 54 miles. It takes approximately 59m to drive from Central Islip to Port Authority Bus Terminal. Where can I stay near Port Authority Bus Terminal? There are 2334+ hotels available in Port Authority Bus Terminal. Prices start at $109 USD per night. What companies run services between Central Islip, NY, USA and Port Authority Bus Terminal, NY, USA? 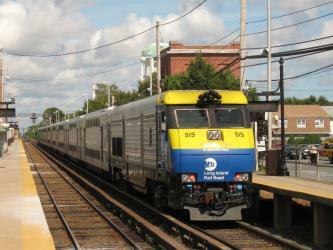 Long Island Rail Road operates a train from Central Islip to Port Authority Bus Terminal hourly. Tickets cost $10 - $15 and the journey takes 1h 15m. Rome2rio's Travel Guide series provide vital information for the global traveller. Read our range of informative guides on popular transport routes and companies - including How to get from London City Airport into central London, Travelling by boat in Italy and The beginner’s guide to the 2018 World Nomad Games - to help you get the most out of your next trip. The Metropolitan Museum of Art, colloquially "the Met," is located in New York City, and is the largest art museum in the United States. With 7.06 million visitors in 2016, it was the second most visited art museum in the world, and the fifth most visited museum of any kind. Its permanent collection contains over two million works, divided among seventeen curatorial departments. The main building, on the eastern edge of Central Park along Manhattan's Museum Mile, is by area one of the world's largest art galleries. A much smaller second location, The Cloisters at Fort Tryon Park in Upper Manhattan, contains an extensive collection of art, architecture, and artifacts from Medieval Europe. On March 18, 2016, the museum opened the Met Breuer museum at Madison Avenue in the Upper East Side; it extends the museum's modern and contemporary art program. Central Park is an urban park in Manhattan, New York City. Central Park is the most visited urban park in the United States, with 40 million visitors in 2013, and one of the most filmed locations in the world. Times Square is a major commercial intersection, tourist destination, entertainment center and neighborhood in the Midtown Manhattan section of New York City at the junction of Broadway and Seventh Avenue. It stretches from West 42nd to West 47th Streets. Brightly adorned with billboards and advertisements, Times Square is sometimes referred to as "The Crossroads of the World", "The Center of the Universe", "the heart of The Great White Way", and the "heart of the world". One of the world's busiest pedestrian areas, it is also the hub of the Broadway Theater District and a major center of the world's entertainment industry. Times Square is one of the world's most visited tourist attractions, drawing an estimated 50 million visitors annually. Approximately 330,000 people pass through Times Square daily, many of them tourists, while over 460,000 pedestrians walk through Times Square on its busiest days. The Empire State Building is a 102-story skyscraper located on Fifth Avenue between West 33rd and 34th Streets in Midtown, Manhattan, New York City. It has a roof height of 1,250 feet (381 m), and with its antenna included, it stands a total of 1454 ft tall. Its name is derived from the nickname for New York, the Empire State. Rome2rio makes travelling from Central Islip to Port Authority Bus Terminal easy. Rome2rio is a door-to-door travel information and booking engine, helping you get to and from any location in the world. Find all the transport options for your trip from Central Islip to Port Authority Bus Terminal right here. Rome2rio displays up to date schedules, route maps, journey times and estimated fares from relevant transport operators, ensuring you can make an informed decision about which option will suit you best. Rome2rio also offers online bookings for selected operators, making reservations easy and straightforward.